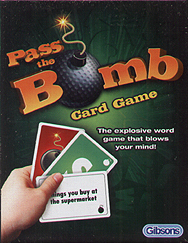 This highly explosive card game will test players' nerves to the limits. Quick wit and thinking is required to find a world that begins with the letter on the card and matches the theme. Hesitation is dangerous in this word game and the player holding the fewest cards at the end of the game is the winner.